As climate change nears potentially disastrous tipping points, a solution is hiding in plain sight. Several countries have successfully replaced fossil fuels with low-carbon energy sources by combining renewable energy with a quick buildout of nuclear power. By following their example, the world could dramatically cut fossil fuel use by midcentury, even as energy consumption continues to rise. Joshua Goldstein and Staffan Qvist explain how clean energy rapidly replaced fossil fuels in such places as Sweden, France, and Ontario, while enhancing both prosperity and the natural environment. 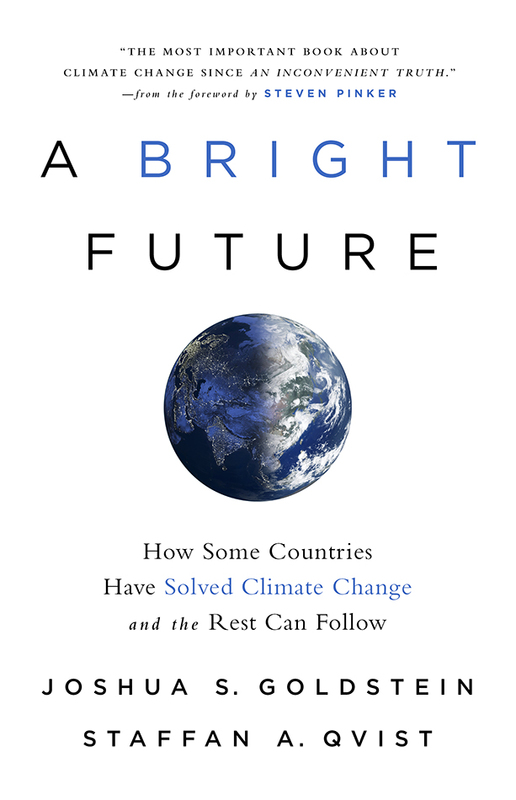 Engagingly written, yet backed by deep research, this book will encourage a fresh look at the assumptions that have long shaped the climate change debate. The stakes are extraordinarily high and the deadline for action is near. This clear and compelling book could spark the transformation in energy policy that the world needs. Joshua S. Goldstein is Professor Emeritus of International Relations at American University. He is the author of six books about war, peace, diplomacy, and economic history, and a bestselling college textbook, International Relations. See www.joshuagoldstein.com. Staffan A. Qvist is a Swedish engineer, scientist and consultant to clean energy projects around the world. Trained as a nuclear engineer (Ph.D., University of California, Berkeley), he works with both renewable and nuclear energy development projects. For more information, see www.staffanqvist.com.